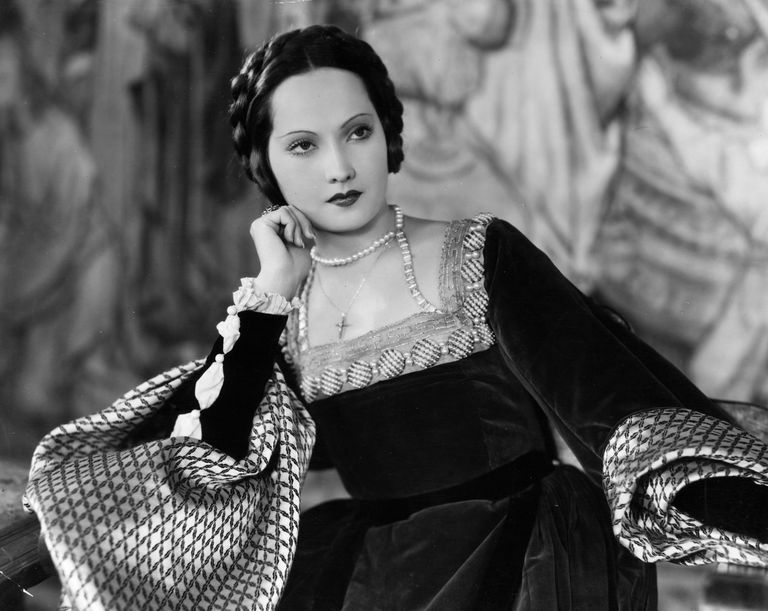 Merle Oberon as Anne Boleyn. In Hollywood's Golden Age, studios not only anglicized the names of actors but also expected them to downplay their ethnic origins. As such, several movie stars who weren’t solely of European heritage worked to adjust their appearances so they ​passed for white in film, their personal lives, or both. Fast forward to modern days, and many actors today are bi-racial but still pass for white. Scene from the 1934 film "Imitation of Life," starring Fredi Washington and Louise Beavers. With her fair skin, green eyes, and flowing hair, actress Fredi Washington possessed all the traits needed to pass for white. In 1934’s “Imitation of Life,” Washington plays a light-skinned black woman who denies her black mother to cross the color line, posing as white. In real life, Washington refused to deny her heritage, advocating for blacks in entertainment. Married for a time to black trombonist Lawrence Brown, the only time Washington reportedly passed for white is to buy snacks from the establishments that refused to serve her husband and his bandmates because of their skin color. Merle Oberon earned an Oscar nod for her acting in 1935’s “The Dark Angel” and earned additional recognition for playing Cathy in 1939’s “Wuthering Heights.” But off-screen, Oberon feared that her secrets would be exposed. She wasn’t solely white nor was she born in Tasmania like actor Errol Flynn, as she told people. Instead, she was born in India to an Indian mother and an Anglo father. Rather than disown her mother, Oberon passed her parent off as a servant. When the actress visited Tasmania later in life, the press hounded her for details about her upbringing, forcing her to admit that she wasn't born there. Still, Oberon did not confess to being Indian. The 2002 documentary "The Trouble with Merle" examines Oberon's deceit about her origins. Clint Eastwood And Carol Channing In 'The First Traveling Saleslady'. When Broadway sensation Carol Channing was 16, her mother let her in on a secret: Channing’s paternal grandmother was black. Known for being a gay rights advocate, Channing didn’t reveal her African American ancestry to the world until 2002, when she released her memoir, "Just Lucky I Guess," at the age of 81. Channing said she never felt ashamed of her black roots. Rather, she believed her black ancestry made her a good performer because of the common stereotype about blacks being naturals at singing and dancing. “I thought I had the greatest genes in showbiz,” Channing remembered. John Gavin from the film 'Imitation Of Life', 1959. John Gavin was born John Anthony Golenor Pablos in Los Angeles. He has Irish and Mexican ancestry and speaks Spanish fluently. But unlike Anthony Quinn, who was also half-Mexican and played characters of various ethnic backgrounds, Gavin consistently played white characters during his tenure in Hollywood. The leading man is known for his roles in the 1960 films “Psycho” and “Spartacus” as well as for 1959’s “Imitation of Life,” a remake of the 1934 version with Fredi Washington. While that film chronicles the plight of a young mixed-race woman who passes for white, Gavin’s mixed-race background is never referenced in that film or in others, despite his dark hair and swarthy skin. In 1981, however, Gavin’s heritage resulted in President Ronald Reagan, a former actor, appointing him the U.S. Ambassador to Mexico. Gavin served as ambassador until 1986. Born Jo Raquel Tejada to a Bolivian father and an Anglo mother, Welch grew up in a house where her Latin ancestry was ignored. “This made me feel like there was something wrong with being from Bolivia,” stated Welch in her 2010 memoir "Beyond the Cleavage." When she arrived in Hollywood, film execs reportedly urged her to lighten her skin and hair. “She had to become white because that is what Hollywood knew how to sell,” explained Charles Ramírez Berg, author of "Latino Images in Film." Welch later suffered from an identity crisis. “I had no Latin friends,” she said. So, in 2005, she visited Bolivia to learn more about her heritage. In her golden years, Welch has played Latino characters in various film and TV roles, including Gregory Nava's series "American Family." Actors today often play up their multicultural heritage. Their racially ambiguous looks may even add to the appeal of stars such as Jessica Alba, Keanu Reeves, and Wentworth Miller.